Picture yourself on a restorative vacation: You’re swaying in a hammock, sipping a fruity cocktail, and letting all your troubles slip away with the sound of each lapping wave. That’s the dream, right? In reality, some of that vision may ring be true, but there’s a good chance that while you’re enjoying that piña colada, you’re also scanning your inbox for fear of missing an urgent work email, or lurking on Slack after your phone’s push notifications lured you there, or simply ruminating about your nine-to-five. No matter where you are in the world, part of you is mentally not OOO. If this scenario sounds all too familiar, you’re hardly alone, according to a 2018 study (called The State of American Vacation) from the U.S. Travel Association and market-research firm GfK of more than 4,000 full-time American workers with paid time off. It found that more than half of employees don’t use all their vacation time—and all signs point to this being a deeply-rooted problem: While this year’s results show the average employee takes 17.2 days of vacation per year, the long-term average from 1978 through 2000 was 20.3 days. What the heck happened? Well, a number of things—including shifts in vacation policy, workplace culture and expectations, and the connectivity that technological advancements allow for. In fact, more than half of respondents cite work-related reasons as the culprit chaining them to their desks, like the fear of coming across as replaceable (61 percent), having too heavy a workload (56 percent), and lack of coverage at work (56 percent). The old adage of living to work versus working to live is clearly apt here—and not taking time for ourselves can give way to serious health problems. “It’s hard to relax and recharge if you are always thinking about work,” says therapist Alisa Kamis-Brinda, LCSW, LCADC. And the effects that often come with working yourself and your brain to the bone, with nary a reprieve or a single piña colada, aren’t so desirable. In fact, a recent Well+Good surveys found that 64 percent of people say work triggers anxiety, and the thought of work keeps 55 percent up at night. In addition to constant worrying and insomnia, not taking the breaks we clearly need can manifest other chronic-stress symptoms, like headaches, upset stomach, and depression. “Stress is linked to multiple medical problems and can lead to or exacerbate most mental-health issues,” Kamis-Brinda says. Clearly we need to rethink our vacation habits, but cashing in PTO days to hightail it OOO is only half the battle. For many employees, it’s oh-so possible to be working regardless of physical location. 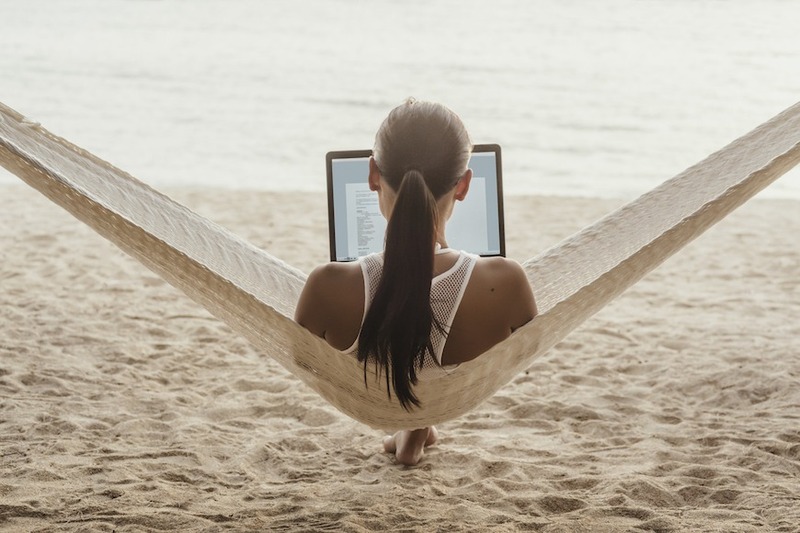 A 2017 survey found that when we actually are taking vacation, more than half of us (54 percent) aren’t disconnecting from work, which rose from 41 percent the previous year. Employees who have unlimited vacation policies tend to take off about the same—or even less—time than they would with a specified number of days at their disposal. Basically, open-vacay plans are more likely to turn employees into martyrs than beach bums. And it appears that trendy initiatives—like unlimited vacation policies—theoretically aimed to boost work-life balance by providing employees agency over their time are actually stoking the work-work-work fire. While only a small number of companies actually offer unlimited PTO (just 1 to 2 percent, according to the Society for Human Resource Management), the structure is certainly gaining traction—which counterintuitively might be bad news for your vacation plans. As Harvard Business Review pointed out in 2017, even if you have unlimited vacation days, you’re probably going to take fewer because of things like peer pressure, not wanting to come across as a slacker, and preservation of a “warrior mentality.” Research supports this notion with findings that employees who have unlimited vacation policies tend to take off about the same—or even less—time than they would with a specified number of days at their disposal. Basically, open-vacay plans are more likely to turn employees into martyrs than beach bums. So how the heck do we combat this to, you know, enjoy life while we’re living it? Is it by actually taking those vacations in spite of all the mental roadblocks? Or is better to prioritize being “off” when you’re off—even if it’s not for the longest trip ever? Unlike unlimited PTO and its shifty-at-best efficacy is a different gimmicky-sounding concept that companies would actually be wise to embrace: mandatory vacation. This means you get a set number of days per year, and if you have any unused, you have to take them. The not new, yet definitely underused policy can exist in a number of ways—like by enforcing a certain number of days off per quarter, allowing only a certain number to roll over, penalizing employees for not using them, etc. But in general, the goal is to hold everyone at every level beholden to cultivating balance in one’s life. Okay, but let’s say you work for a company that’s a little bit behind the times when it comes to making sure its employees are actually taking vacation and unplugging from work. In this case, you’ll need to advocate for your own well-being to ensure you’re enjoying the PTO that you’ve not only earned, but deserve. To start, while OOO, stay away from technology—and not just the work-related kind. “It’s beneficial to unplug from social media on vacation, because it allows you to focus more deeply on the experience you are having and the people you are with,” says career coach Wendy Toth. This practice can also eliminate the dreaded, anxious state of FOMO that constant appsturbating can cause. And plus, you can post all your dreamy vacay photos (which you can take on an old-school analog camera, BTW) when you’re back on the grid. 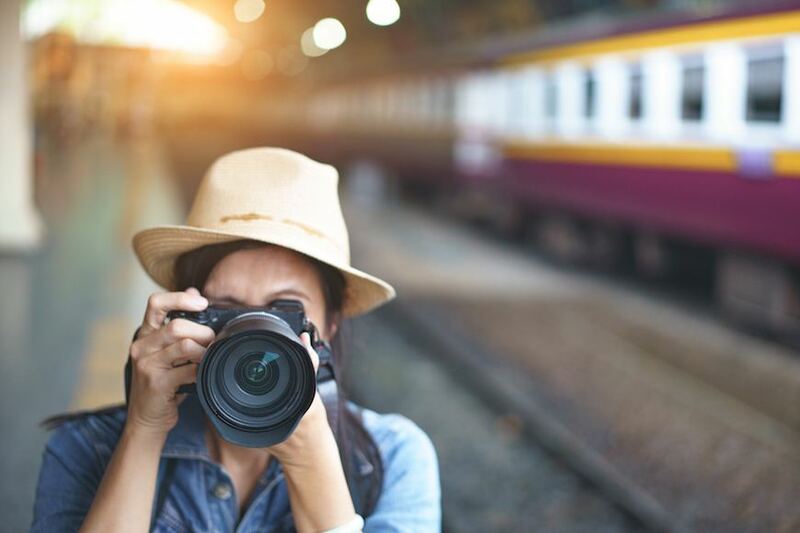 But before you pack your bags, turn off your phone, and head off to Reykjavik or Ubud or, heck, even just a staycation, get your ducks are in a row—for your own peace of mind and also for people who rely on you professionally. “Give your boss, coworkers, and clients at least two weeks’ notice before your unplugged vacation, and tell them you won’t have great internet access, even if you will,” says Toth. The good news is, with some forethought and accountability, freelancers, too, can unplug and let themselves have the time and self-care they deserve. “Freelancers can take the same steps as [full-time] employees—it just takes a little more advanced planning and boundary setting,” Toth says. She recommends planning a vacation at least three months in advance, but following the same guidelines as full-time employees (i.e. staying unplugged during that time). A real-deal, no-working staycation is better for recharging your batteries than being on the clock in Okinawa or accessible in Australia or working in Waikiki. Basically, a real-deal, no-working staycation is better for recharging your batteries than being on the clock in Okinawa or accessible in Australia or working in Waikiki. Not only will time off—real, actual, unplugged-from-the-grind time off—make you a happier and healthier person, but it may also translate to more bucks for even bigger and better vacations down the road. And the cold-hard facts are here to support that optimistic notion. A recent study found that 52 percent of employees who maximized vacation days reported receiving promotions in the past two years compared to 44 percent of those who used little or no PTO. If more money and career advancements isn’t motivation to take more time off, honestly, what could be? Need some vacay inspo? Here’s the best rental according to your zodiac sign. Also, ever feel like you need a vacation after you get back from a vacation? It’s not just you—it’s a thing.